Note: This is a sponsored post by LowestRates.ca but was written and edited by me. The holidays can be a stressful time especially for your bank account. The gifts, the parties, the food, travelling and the giving. Everything adds up. If you don’t want your bank account to start sinking like the Titanic in the new year, this article reveals 9 simple ways to save money this holiday season. I do have a small gift for all my lovely subscribers and readers. Just in time for the holidays, I have partnered with LowestRates.ca with their #12DaysOfMagic contest. 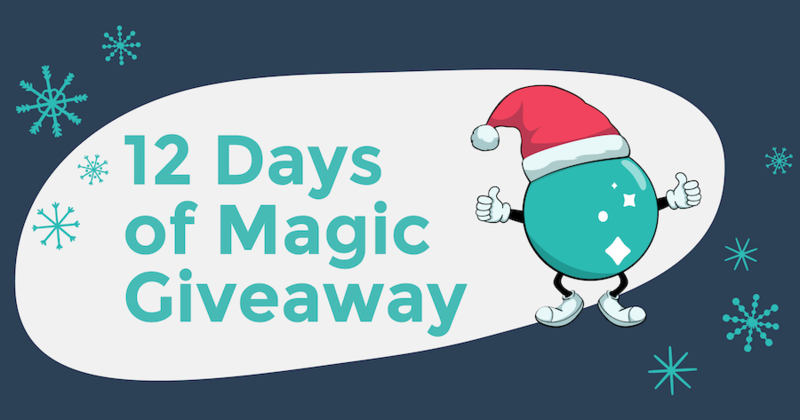 You will have 12 days to win some awesome prizes when you enter their #12DaysOfMagic contest. Today would be day 5 as the contest started on December 13, 2018. On the last day of the draw, they will draw the big prize — you could be the lucky winner of two Raptors tickets! The good news? You can play every day and rack up those wins! You must get the answer right to be eligible for the prize. The answers are easy peasy. LowestRates.ca will be contacting a winner every morning based on the previous day’s entries. For example, if you entered on day one, you will know if you won the morning of day two. The contest ends on December 24th, 2018 at 4 p.m. ET. No purchase necessary to enter. Previous Post I was a victim of credit card fraud, here’s what I did. Next Post 2 Simple, Powerful Ways to Pay Down Debt: Debt Avalanche Versus Debt Snowball.